Sgt. 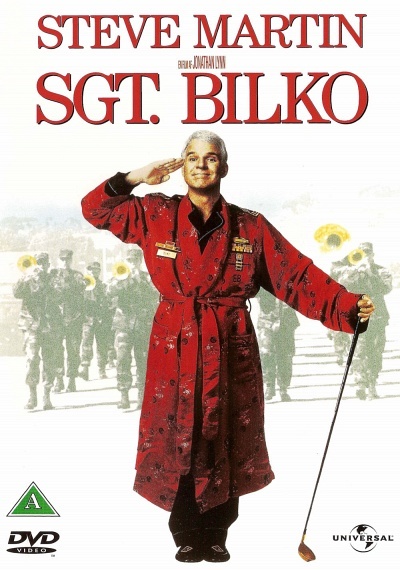 Bilko :: Movie Information :: RabbitTV GO! The Army is known for churning out lean, mean fighting machines intent on protecting our great nation. But at Fort Baxter, there's one unit that can't even form a straight line… Steve Martin stars with Dan Aykroyd and Phil Hartman in an outrageous comedy from Imagine Entertainment. Martin is the inexplicable, the incorrigible, the invincible Sgt. Ernie Bilko, leader of a ragtag group of the sorriest soldiers ever to enlist in the armed forces. Instead of training his troops for battle, he passes on his legacy of gambling and shunning responsibility. Times get tough however, when the base is threatened with a shutdown, and a by-the-book adversary, Major Thorn (Hartman), is intent on taking Bilko's reputation down with it. Now, all bets are on Bilko to drum up his biggest scheme yet to save Fort Baxter… and clear his name!